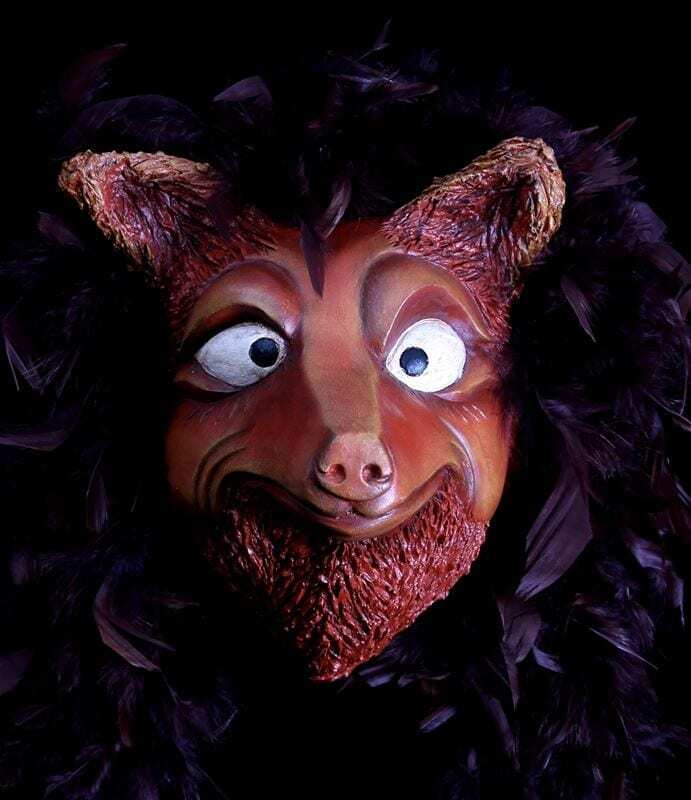 The Wolf Mask Red is a full-face animal mask. The red wolf is a wolf species native to the southern part of the United States and was driven almost to extinction by predator control programs. Its species origin is debated somewhat by scientists and thought perhaps to be a distant cousin of the coyote. The red wolf mask is available a full mask (as pictured here) or as a half mask. If you’d like the half mask version please ask Jonathan to create that for you in the comments section of the order. As I common for the animal mask this wolf celebrates an important relationship with the earth. It was created for a story that draws our attention to the need for humans to live in harmony with the material creation and to respect the gifts of the natural world given forth by the creator.